Desi Smith/Staff Photo. 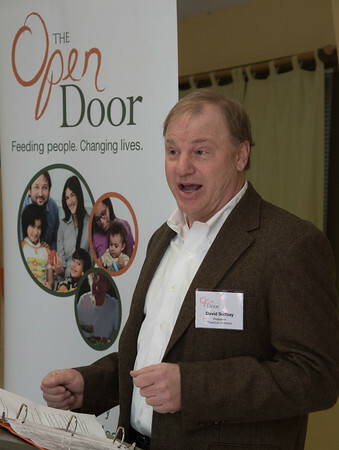 Board of Directors President David Sudbay speaks at the ribbon cutting at The Open Door Saturday morning as it celebrates the newely expanded food pantry. January 16,2016.